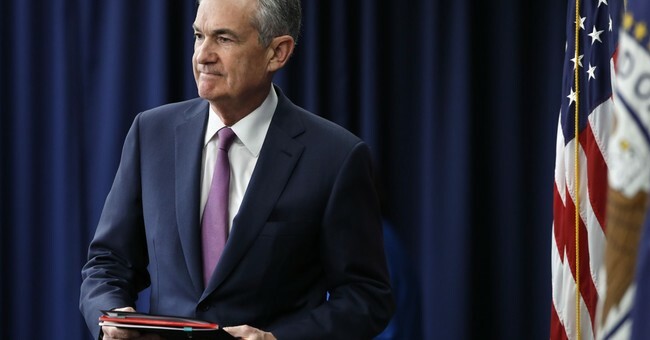 “A lot of that risk didn’t go away, it was just displaced outside of the banking industry.” Those are the words of U.S. Comptroller of the Currency Joseph Otting in the Wall Street Journal. Otting was acknowledging the supremely obvious: as regulators have limited the ability of heavily regulated banks to make loans, those loans have rapidly migrated outside the banking system. Apparently, Jason Furman didn’t get the memo. In a column last week for the same newspaper, the former Obama administration CEA head called for the Fed to not “raise” interest rates, but to instead raise capital requirements for banks. As Furman put it, “[I]ncreasing the capital buffer would reduce the risk of financial instability, set a precedent for sound macroeconomic management, and build up a bigger cushion for the next downturn.” Oh dear…. Missed by the Harvard professor is the truism that the only closed economy is the world economy. The banking activities that the Fed might aim to limit would simply shift to non-bank financial institutions. Furman’s status as a professor and a bureaucrat has long shielded him from the notion of profit, but loans are made because those making them see the chance to earn a profit. That loans potentially represent profits for those issuing them ensures that limits foisted on banks won’t cause lending to dry up as much as the lending will migrate away from the banks Furman would like to further suffocate. Stating the obvious, Furman’s rather academic solution wouldn’t limit lending one iota, but would weaken banks. Indeed, similarly missed by Furman is that for well-run banks, any enforced capital requirement is too much. That’s the case because well-run businesses never run out of money as much as they run out of trust on the part of investors. For a bank with sound management, there’s rarely a problem of insolvency when it’s remembered that a credibly operated bank always has assets on its books that can be exchanged for cash in perilous times. Capital requirements would weaken the most financially sound banks by virtue of limiting their ability to profitably direct money under their control to its highest use. On the other hand, capital requirements are never high enough for the poorly run banks in our midst. Incapable of lending in wise fashion, no amount of regulation will keep them from eventually doing the wrong thing. Important here is that rather than delaying the inevitable with regulations, a lack of regulation is what would most enhance the soundness of the overall banking system. In the real economy, you want the last players picked to be exposed right away so that they can be quickly relieved of an ability to further mis-allocate precious resources through faulty loans. In Furman’s case, he wants to treat all banks alike by limiting the ability of all banks to profit. Furman’s so-called solutions are backwards, and that’s being charitable. Furthermore, they ignore what credit is. It’s not money despite what the economist presumes. We borrow money for what it can be exchanged for. The latter is a reminder that the Fed or any government body can’t set interest rates as much as it can try to keep its artificial attempts at rate-setting on par with what’s already reflected in the marketplace. For Furman or anyone else to presume that the Fed can plan interest rates is as naïve as it would be for the Department of Agriculture to believe that it could credibly set the cost of hamburger meat. The only difference is that with interest rates, the Fed is literally trying to control the cost of accessing all of what the private sector has on offer, as opposed to one item. Back to reality, interest rates are an effect of infinite decisions taking place every millisecond of every day, around the world. Rather than call for more economic control by academics like him, Furman should be proposing quite a bit less. Doesn’t he know why he’s at Harvard? Theorists aren’t good at capital allocation. That’s why they’re theorists. Most wrongheaded of all is Furman’s laughable suggestion that “raising capital buffers now would give the Fed the ability to lower them during a recession, which would soften the downturn by helping banks avoid cuts to lending.” The Kennedy School professor quite simply doesn’t get it. He doesn’t get that while agonizing, recessions are a happy sign of an economy cleansing itself of all the misuses of labor, bad habits developed, poorly run businesses, and yes, bad loans that brought on the recession in the first place. In that case, the last thing mildly sapient regulators would aim to engineer is an avoidance of “cuts to lending” while an economy is fixing itself. In this case, Furman’s solution amounts to the economist chasing his own tail: capital mis-allocations have brought on a reversal of those errors, so Furman calls for a doubling down on the capital mis-allocations. Furman is calling for the Fed to encourage that which isn’t profitable as a way of strengthening banks during downturns. Yes, you read that right. Furman’s plan to strengthen banks would be regulatory ease that would enable more in the way of loans less likely to be paid back. You can’t make this up….! The good news is that while academics will offer endless theories and pretentious solutions, markets have a way of working around that which is ridiculous. Even if Furman were to have his way through capital requirements turned upside down, banks eager to stay solvent would likely not abide a plan that only an academic could love. Back in a world attached to a semblance of reason, the cost of credit will reflect production in the economy, while the quality of loans will reflect the varying risk appetites of financial institutions. And Furman will keep writing opinion pieces wholly divorced from reality; the professor forever unaware that his ability to offer his theories is a clear effect of a capitalist system that he endlessly aims to muzzle with his musings from the faculty lounge.